An Alabama House committee has this week cleared a bill that would ban driving while holding a cell phone. It is already illegal to text and drive in many states, Alabama included, and this makes the state one step closer to hands-free driving. The statistics are alarming: nine people die daily in the United States in accidents due to distracted driving. 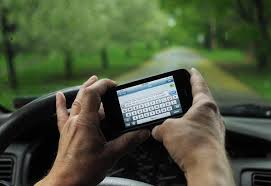 It is always scary to see the driver in the car next to you texting, especially when you are driving on an interstate. But it is equally as dangerous on your neighborhood roads. Texting while driving is the most dangerous because it combines all three types of distractions. Think about it – when you send or even read a text, your eyes and mind are not on driving for at least 5 seconds, and that’s a scary thought. In 5 seconds a child can be struck by your car, a head-on accident can kill a family. And the list goes on – never ending well. Anything that takes your attention away from driving is a distraction. This can be eating a burger, reprimanding your children, talking on your cell phone, even looking at your GPS takes your eyes off the road, and all are very dangerous. While Georgia joined 14 other states in enacting a hands-free driving law last year, Alabama is now one step closer to making our roadways safer. The bill was introduced by Rep. Allen Farley following testimony from a woman whose daughter was killed last year in a distracted-driving accident. Punishment for violating the proposed law would include: a $50 fine for the first offense, $100 for the second, and $150 for the third offense.